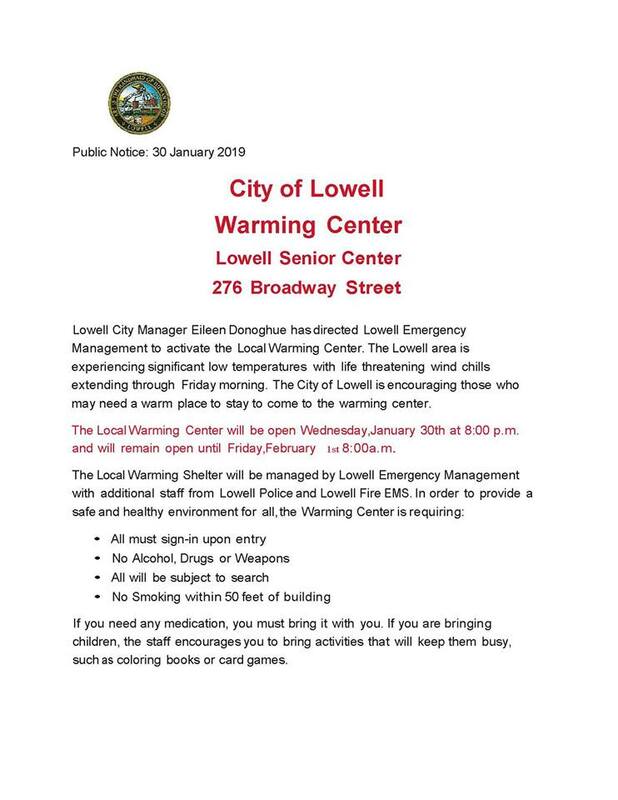 Lowell City Manager Eileen Donoghue has directed Lowell Emergency Management to active the Local Warming Center, which will be held at the Lowell Senior Center, 276 Broadway Street, Lowell from Wednesday, January 30th at 8:00 pm and will remain open until Friday, February 1st at 8:00 am. The Local Warming Shelter will be managed by Lowell Emergency Management with additional staffing from Lowell Police and Lowell Fire EMS. 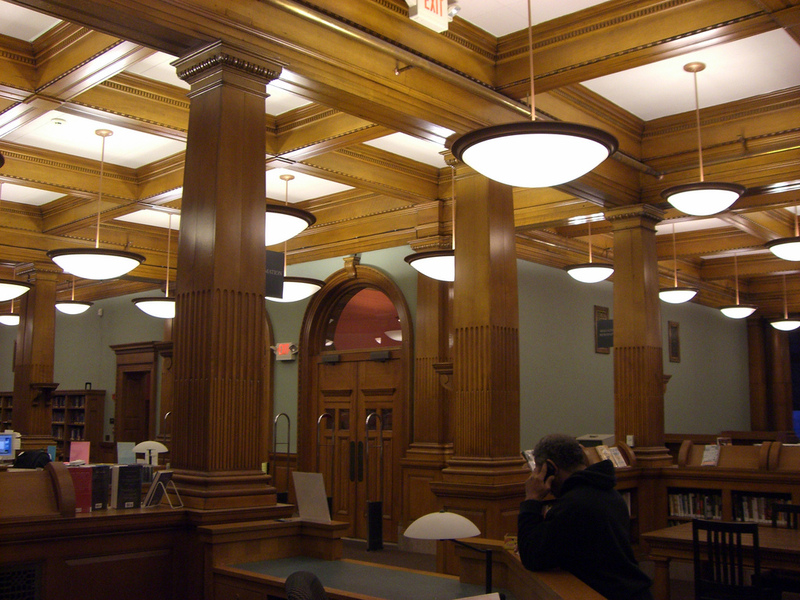 The Warming Center requires that all must sign-in upon entry, no alcohol, drug, or weapons, all will be subject to search and no smoking within 50 feet of the building. If you need medication, you must bring it with you. For those with children, the staff encourages you to bring activities that will keep them busy, such as coloring books and card games.